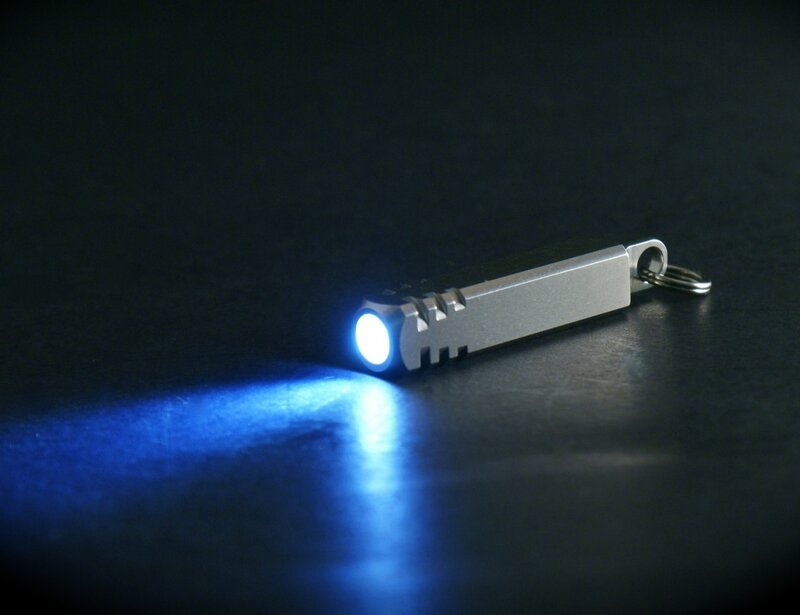 The Pixel is a precision crafted LED flashlight designed for hard-use everyday carry, and is small enough to attach anywhere for the ultimate in convenience. 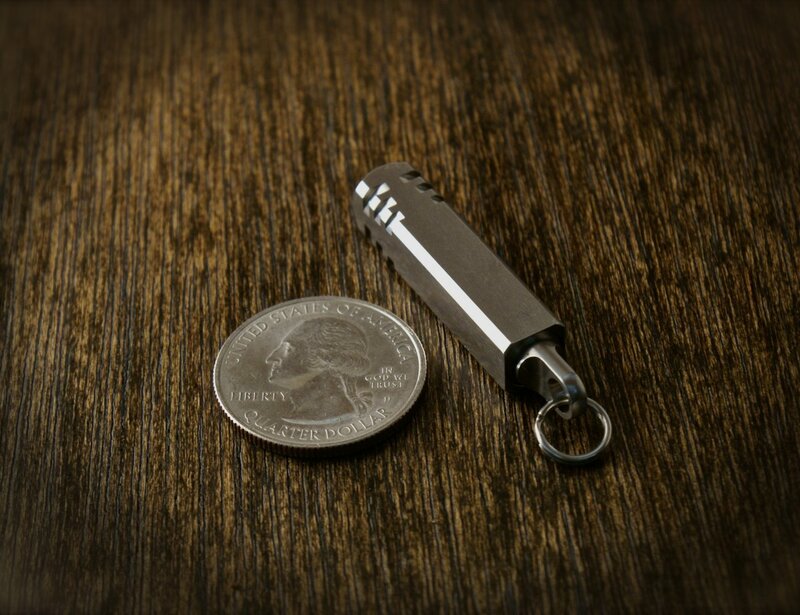 Fabricated from stainless steel, it can withstand daily beatings from keychain drops to rainwater. It uses a super bright 5mm LED, water resistant o-ring seal, and runs on four common and inexpensive LR521/379A alkaline watch batteries (included). The simple twist on/off operation is easy with the anti-roll square body, so even wet and slippery hands can “see the light”. 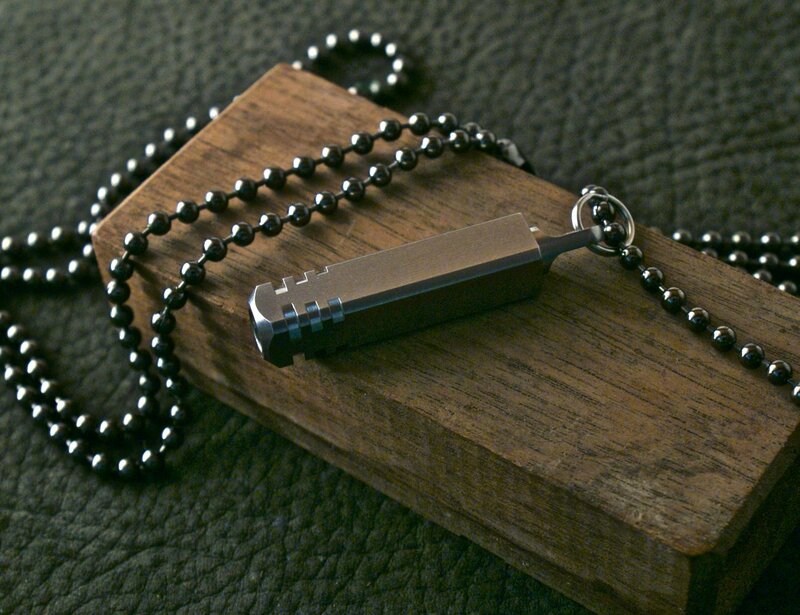 It weighs less than half an ounce, and is smaller than a standard key at 8mm [.315″] square x 43mm [1.69″] long. 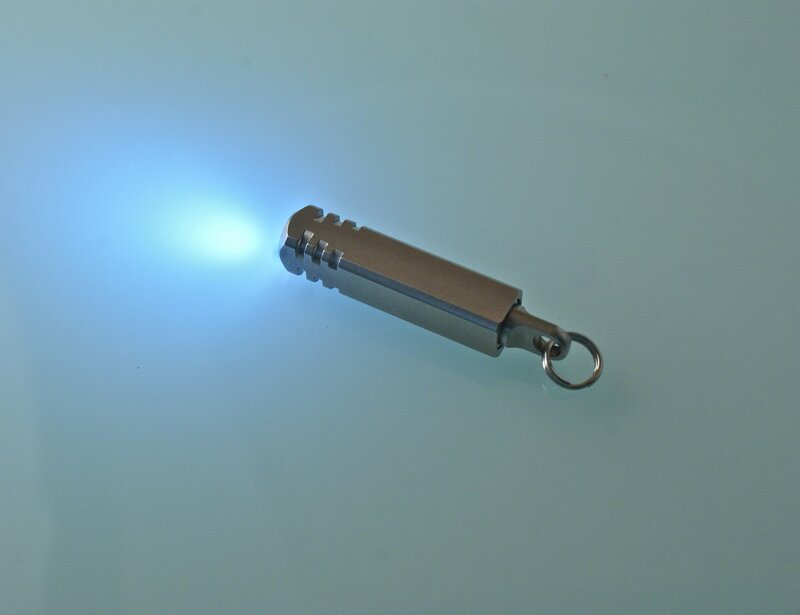 This unique miniature flashlight will come in handy when you least expect it. 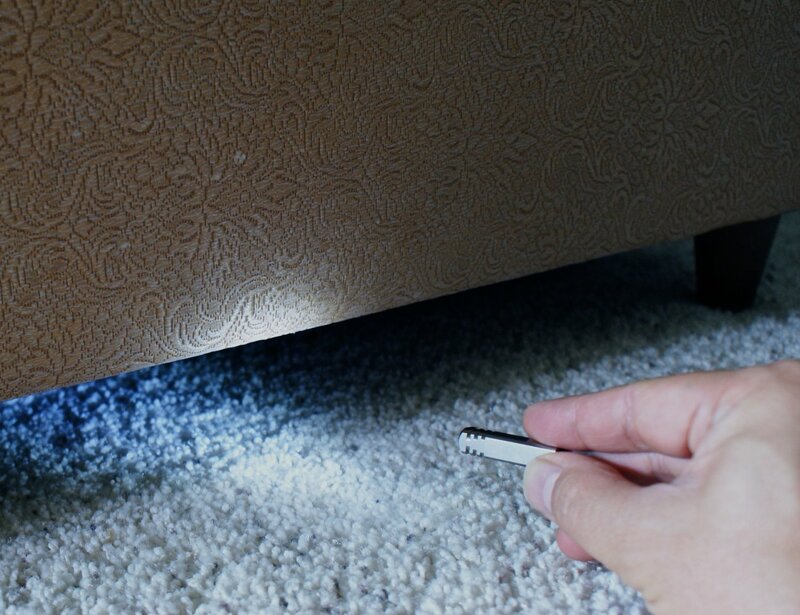 Perfect when looking for dropped items at night, reading the menu in a dark restaurant, hunting around in that bottomless purse, checking under the hood of your car… great for places such as movie theatres, campsites, dark rooms. The uses are truly endless, and you will realize just how much you need one as soon as the lights go out (power failure! ).